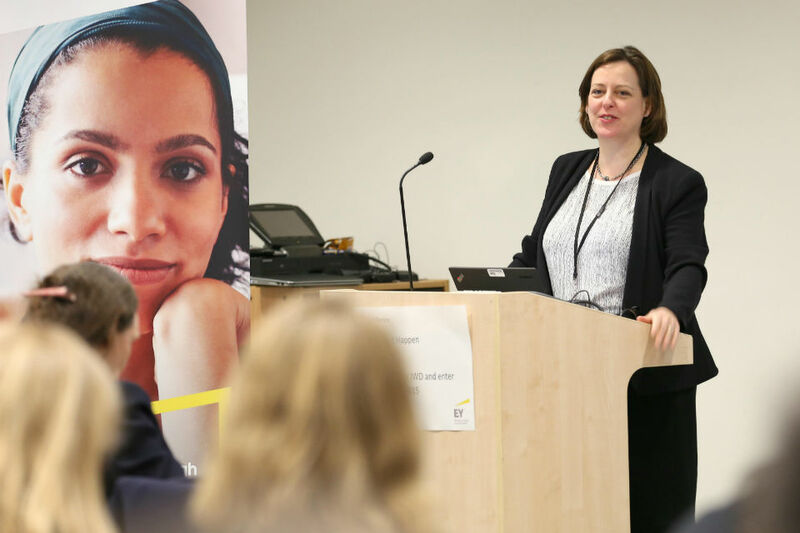 We’re delighted to announce that registration to attend this year's Civil Service International Women’s Day celebrations is now open! A team of volunteers from HMRC, DWP, DCLG, Parliagender and the Cross-Government Women’s Network have organised events in ten locations across the country, all taking place on Tuesday 8 March. It’s fantastic that so many co-ordinated events are being held, allowing more civil servants than ever to take part in workshops, make the most of some great networking opportunities, and listen to interesting speakers from both inside and outside the Civil Service – all in the name of International Women's Day. The theme for this year’s events is ‘changing perceptions’. You’ll hear from women working in roles that have traditionally been filled by men, and from women who have challenged stereotypes in their careers, as well as from civil servants who are changing perceptions as part of their job. Melanie Dawes, Civil Service Gender Champion, will be opening the London event. And an exciting mix of speakers from a range of departments and different walks of life – from the church to the military – will be joining in the celebrations in each of the different locations. You can follow all of the activity on Twitter (#CSIWD2016) and share your views by tweeting us @CGWomensNetwork. We’d like to encourage both men and women to register for their local event via the links below. Wherever you choose to celebrate International Women’s Day 2016, we hope you have an insightful, inspiring and enjoyable day. See the agenda for the event here. Disappointing that on International Women's Day, there are no events in Scotland, Wales or NI. Sounds like a great opportunity for you to organise one! Any events happening in Scotland? Totally agree with the 2 comments, Scotland, Wales and Northern Ireland have large contingency of women civil servants. T&S is restricted and therefore a lot of interested parties will not be able to attend. thank you for your comments - this is the first year that we've coordinated Civil Service wide events both in and outside London. As we're a group of volunteers from employee networks, we're some what dependent on where we're based, our networks' capacity to host events in multiple places and of course whether or not we have a volunteer to lead the running of an event in a particular location. It would be great to be able to hold events in Scotland, Wales and Northern Ireland next year - like Civil Service Live, we'd like to increase the number of locations according to level of interest. The more people who recommend a location or help with event planning, the easier it is for us to host more events. If any one would like to organise an event themselves, we'd of course be happy to share with you any materials that we will be using on the 8th March. @Phil This year's International Men's Day is on November 19th. Not sure if anything was organised last year but still plenty of time to organise some events ahead of this year's November date. I have registered to attend the London event. I agree with Ellie's comments. Perhaps we will get more volunteers to lead on events in locations that the network cannot easily get to. HMRC will be organising International Mens Day event and will provide details in due course. Hi, The DVLA in Swansea are holding an International Women's Day event today, and through the joint collaboration of the DVLA Women's & DWP Returners Networks have invited DWP staff in Wales. I attended the event at Telford Land Registry today as a representative from the DWP. I enjoyed meeting my colleagues from different parts of the Civil Service and the inspirational women who have shared their career paths with us. Well done on the organisation and welcome received. Can we have a similar event for disabled members of staff to gather in a similar forum?